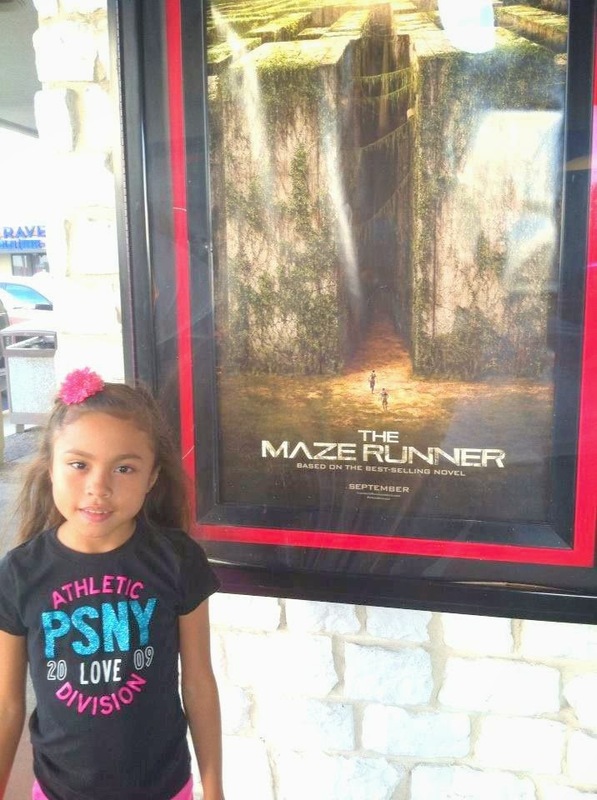 My family and I went to see "The Maze Runner" last weekend. Most of the time we watch a new released film the day after its premiere night, and would find an early matinee seat at our favorite movie theater. I like it that way because it does not require us to get in line or running to get a good seat. Anyhow, the movie was OK! I just don't like that there are strong languages in some scenes than in the book. It's rated PG 13 and I think it's intense for small kids to see this movie because it includes a sci-fi violence and a few disturbing images. Hubby and I liked it, and we can't wait to see the next Maze Runner soon. The Maze Runner is the first book in a young-adult post-apocalyptic science fiction trilogy of the same name by James Dashner. "Protagonist Thomas is brought into a place known as the Glade, with no memories except of his name. He and other teenage boys call themselves Gladers, and have made a community in which each is assigned to a task belonging different departments headed by a Keeper. The Glade is surrounded by a gigantic Maze in which mechanical creatures called Grievers roam at night. Huge doors around the Glade close at sunset. Supplies are brought to the Glade every week; whereas at a new boy is sent through an elevator called the Box once every month. The day after Thomas is brought to the Glade, a girl is sent with a message that "nothing will ever be the same", and carrying a note that no children shall follow. Meanwhile, Thomas learns that the Gladers have tried to solve the Maze for at least two years and that the antidote to a Griever's painful sting can recover one's memories. He also befriends a young Glader named Chuck and the Gladers' second-in-command 'Newt'. Gladers exploring the Maze are known as 'Runners'."